The Natural Living Expo brings together various vendors in the fields of natural living, holistic & alternative health, energy healing, spirituality, metaphysics, psychics and mediums. Also, choose from a wide variety of dynamic, creative Mind, Body & Spirit Workshops. 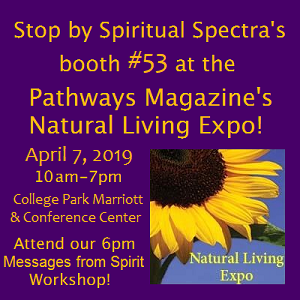 Please stop by the Spiritual Spectra booth #53! I will be offering Spiritual Tarot Consultations and Medium Readings. I will have a sign-up sheet at my booth so you can choose to sign up for a specific appointment time, giving you the opportunity to walk around leisurely & go to workshops. Be sure to stop by my booth early in the day to get the appointment time you want. For those of you who plan to pay for my services by debit/credit card, please click the link below but only do so when you arrive at my booth for your appointment. 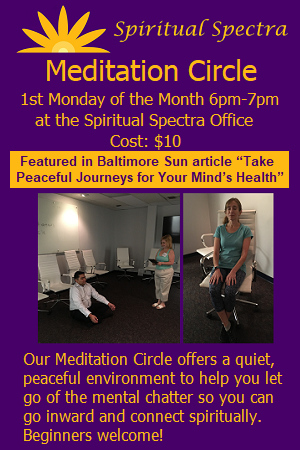 Come hear predictions and channeled communication from Psychic Medium Jennifer Garcia. She’ll share any messages from loved ones in Spirit, Spirit Guides and Angels, as well as any guidance on subjects such as relationships, careers, life challenges, and more. For more information go to http://naturallivingexpo.com.